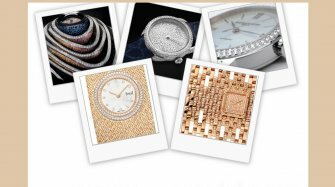 Arctic temperatures and blistering blizzards didn’t deter the world’s elite in Paris last month, when the storied houses presented their latest high jewellery and watch collections at Paris Couture week. 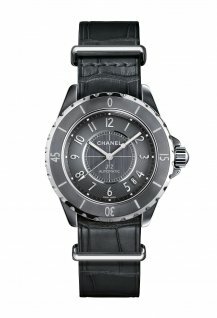 Here is the WorldTempus watch roundup. 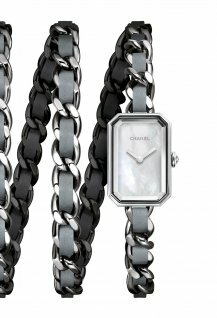 Not surprisingly, high jewellery usually outshines the watches at Paris Couture, but not at Chanel, whose 50-piece strong collection this year included five diamond watches. As with every January Couture, Chanel themes the collection around a single icon, this year of which was the white camellia. 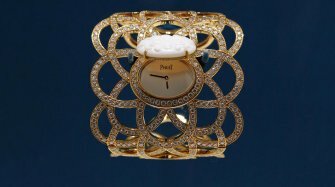 The collection was named 1.5 – as in one camellia, five looks – and nods to the many ways the bejewelled flower can be worn: whether placed anywhere on a necklace, as a brooch, in the hair, on a belt… and as a watch. The dainty white gold Diamant Essentiel for example saw a cut out camellia resting on a wraparound bracelet, the flower of which can be detached and worn as a brooch. 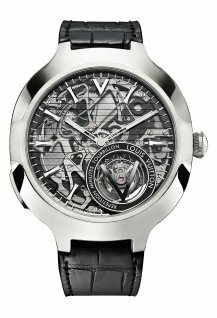 Or there was the transformable Éclat de Diamant with the camelia’s heart fashioned into a dial set under a gorgeous faceted diamond. It can also be removed from the bracelet, which was beautifully crafted from articulated camellia petals. 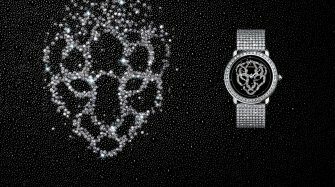 Secret watches also stylishly meet the transformable brief, and here found expression in the divine Crystal Illusion watch with a dial hidden below a camellia, and set on an almost space-age like bracelet punctuated with rock crystal domes set with white gold cut-out camellias. 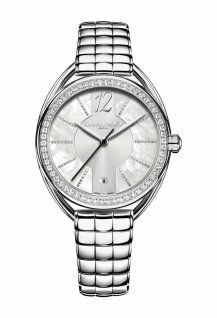 But the true showstopper was the Perles de Diamant hidden watch: the camellia itself is a mega bejewelled wonder that’s completely crafted from various cut diamonds, with an accent of baguette-cut diamonds adding extra texture. 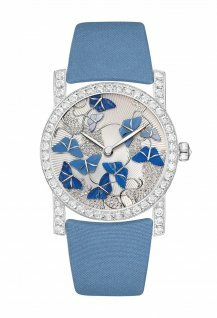 And tucked beneath that is the diamond bezelled watch, surrounded by camellia petals fashioned again from different diamond cuts - pear, oval, round - all set in a stunning and fluid, floral array. 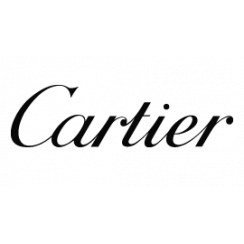 Cartier hosted its high jewellery presentation at the Galerie de Mineralogie Et de Geologie, where the energy of the cosmos felt especially palpable among the life-size crystals and rocks. An exceptional clock featured in the collection: from afar the piece looked like a beautiful objet - a trio of three planetary orbs - but upon closer inspection was in fact a timepiece, its dial tucked within rock crystal and which can only be read from above. The three globes each beautifully embody their own universes and mysteries, whether that’s the bulbous blue-tinted labradorite; the naturally forming, angel-hair like streaks cutting through the pinkish rutilated quartz, sprinkled with diamond planets and stars; or the large inclusion in the rock crystal that gives the stone a cool 3D effect. All this rests on a pyrite jade base, which is black DLC coated for added contrast to the shimmering diamonds. 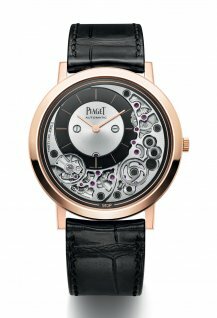 The clock is powered by a 6002 MC mechanical movement with an eight-day power reserve. 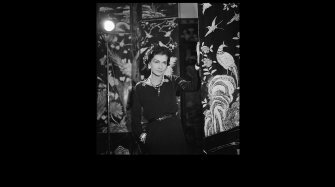 Chaumet’s palatial and historic Place Vendome flagship is currently undergoing an extensive renovation and so, for the first time, its high jewellery presentation was held in Saint-Germain-des-Prés. 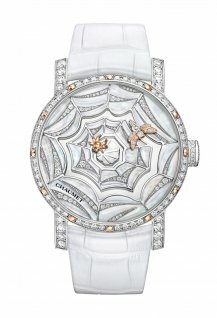 But in no way was splendour compromised: the Joséphine Joséphine collection featured a whopping 100 pieces, inspired by the house’s enduring muse, Empress Josephine, and which dazzled with exceptional coloured stones set into magnificient parures, tiaras, cocktail and aigrette rings and of course watches. 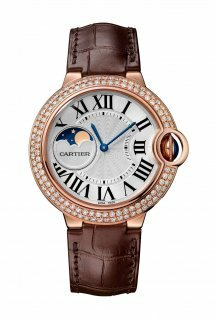 The latter included the ultra-feminine Joséphine Aigrette, its darling teardrop-shaped case paired with a round pave dial, set with 226 brilliant cut diamonds. Another 150 diamonds were found on the bezel and slim bracelet, as a gorgeous single coloured stone - sapphire, yellow diamond, ruby, emerald, among them – added a touch of zing. 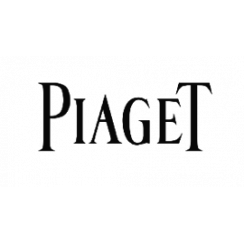 One might think that Piaget’s frozen winter wonderland theme was chosen to match the weather, but in fact continued the vibe that Piaget had created for July Couture. 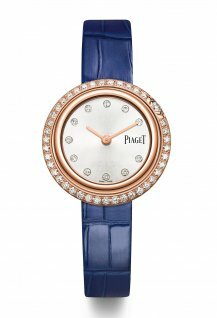 There was only one watch in the January collection, and it oozed the wintery, vivacious vibe that Piaget is currently channeling. 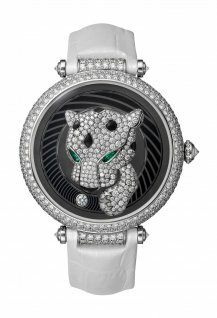 The magnificent White Sun is a shimmering, bursting beauty, with exploding bejewelled rays crafted from 12 kite-cut diamonds (totalling 3.24 cts), and 81 brilliant-cut diamonds (1.25ts) which are interspersed among hand-engraved white gold Palace Décor ‘sticks’ that burst joyfully from a central mother-of-pearl dial. 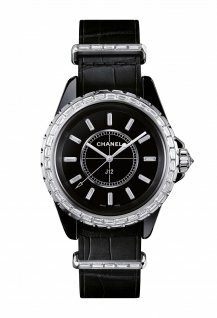 Powered by the in-house 56P quartz movement, the watch comes with an interachangeable strap in either white or black satin. 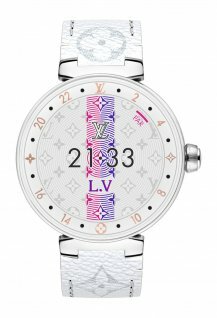 Louis Vuitton didn’t unveil a high jewellery collection this year – no doubt shoring up its reserves for July, when it will unveil the first high jewellery collection by new creative director Francesca Amfitheatrof. 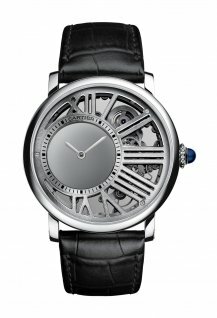 The house did however show a fine jewellery collection in Paris alongside its latest Tambour Horizon connected watch. 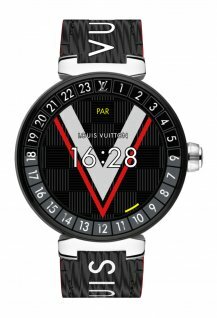 A big update to this eye-catcher is the new Qualcomm Snapdragon Wear 3100 platform, which extends battery life to one day (five in time-only mode) and improves the high-definition display. New, supped up travel-related features have also been added, such as synching hotel and flight bookings and a pollution index display. And topping it all off are new, super fashionable watch faces, while the case itself now has stylish new-age finishes such as polished white ceramic and matte brown PVD.